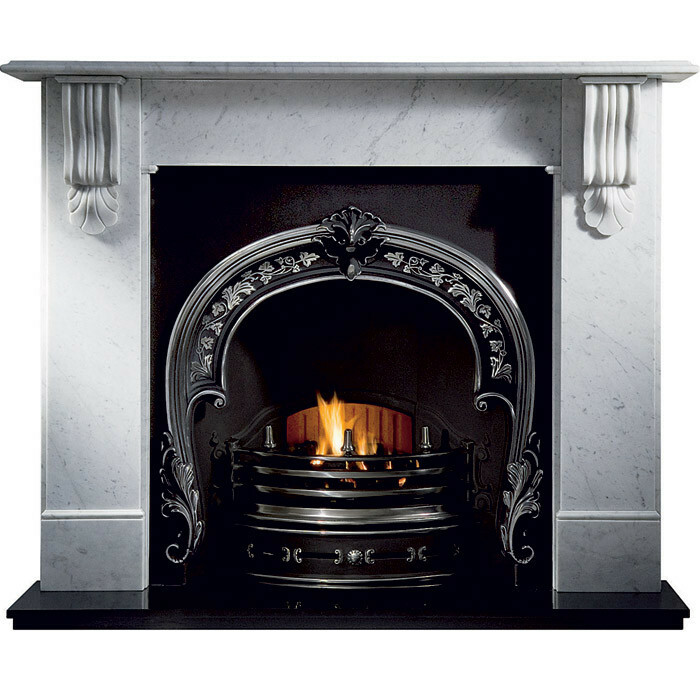 The Gallery Kingston Marble Fireplace with Fitzwilliam Cast Iron Arch consists of the Kingston 63" Carrara marble mantel, Fitzwilliam cast iron arched insert with cast back, 60" x 18" hearth and optional gas fire, or solid fuel kit kit for real fires. 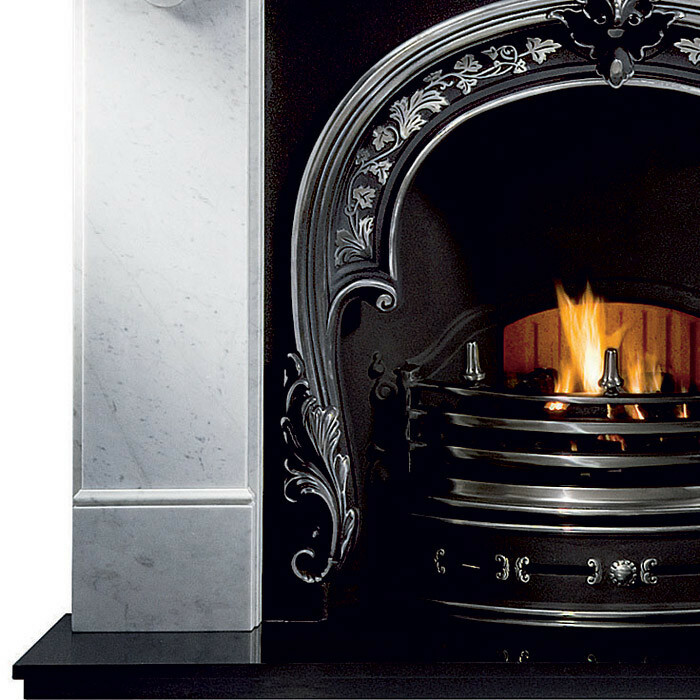 The incised corbel mantel shelf supports of the Gallery Kingston stone fire surround make it a popular choice for traditional interiors. 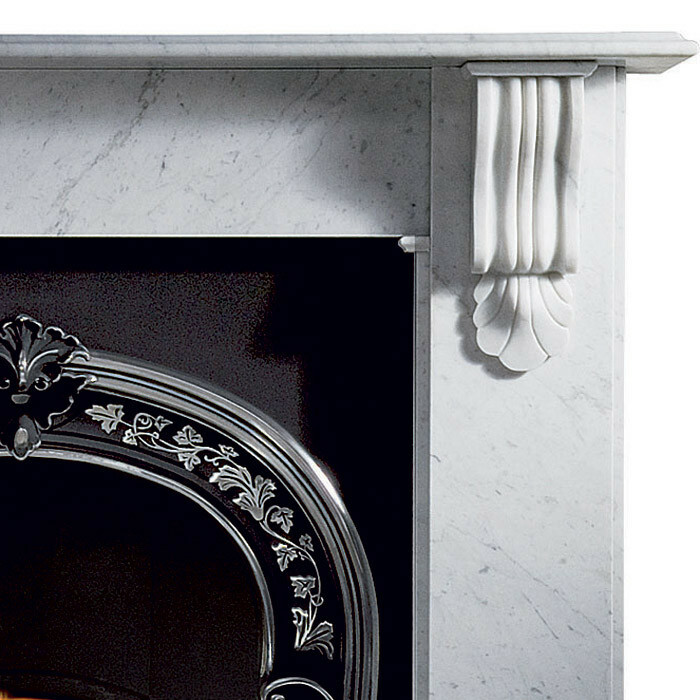 The Kingston Carrara marble mantel is made from a single solid stone block by the quarry, cut into slabs and crafted into the product you see here. 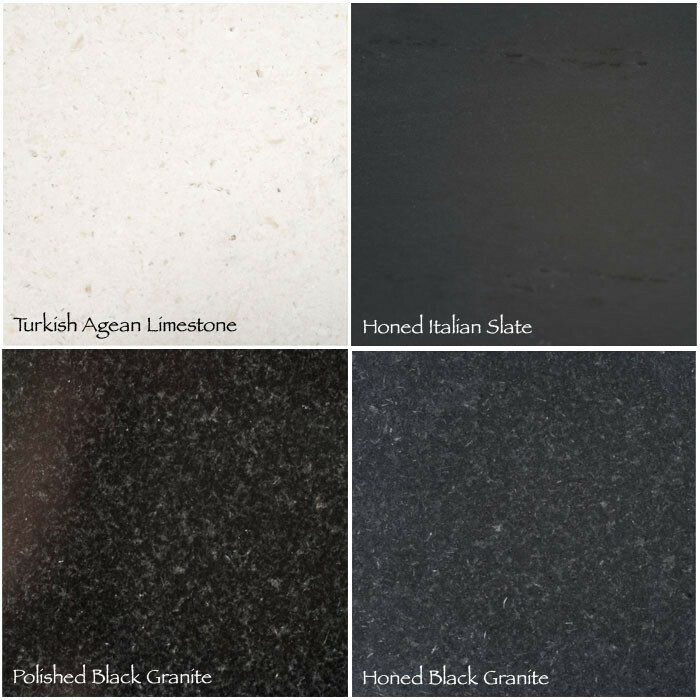 The Kingston Carrara marble surround is highly polished with grey veining on a lighter background, and being a natural product no two Kingston Carrara mantels are the same.